When the clock strikes 5, York comes alive. 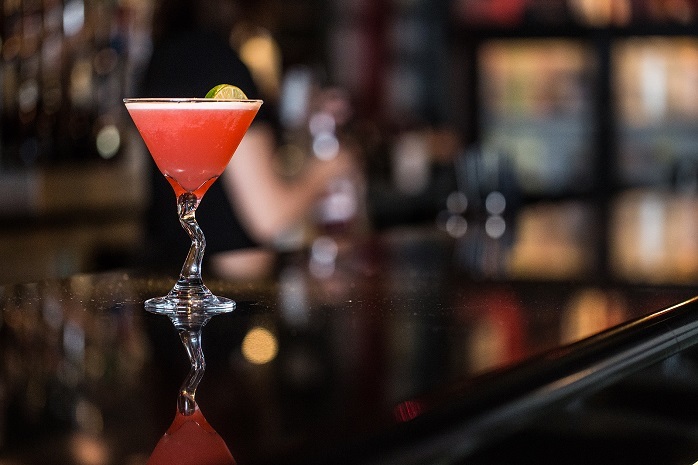 With the day&apos;s work complete, head to Downtown York to find a culinary destination packed with dining options and plenty of spots to gather with friends over a craft beer or cocktail. George Street is veritable restaurant row and the place to start your night. Unwind with a happy hour cocktail at The Left Bank, a downtown staple for nearly two decades. The Ruby Red - made with Citron and vanilla vodkas, lime, grapefruit and pineapple juices, sour mix and grenadine - is a refreshing cocktail perfect for warm summer evenings. Stick around for a delicious dinner, or make a quick move down the street to Tutoni&apos;s Restaurant for a York County meal with an Italian flare. This scratch kitchen serves up locally sourced farm-to-table dishes befitting of the region&apos;s agricultural roots. A self-service wine system means that expensive vino you&apos;ve always wanted to try isn&apos;t beyond your budget, and Prohibition-style cocktails make for excellent after-dinner drinks. For those looking for some arts and culture, the Appell Center for the Performing Arts is just a short walk from Tutoni&apos;s. From Broadway acts to comedy shows to the York Symphony Orchestra, the center&apos;s two theaters offer programming befitting of a big city at small-town value. Afterward, finish with a nightcap at Mudhook Brewing Company, an anchor of Downtown York and member of the Susquehanna Ale Trail. This craft brewery serves up favorites like the Deep Sea Stout and Redeye Irish Red, as local musicians provide the entertainment. Getting around is easy. Uber and Lyft serve York, making it simple to get from your hotel to downtown and back. Valet service is available in front of Tutoni&apos;s on Thursday, Friday and Saturday evenings, plus on-street parking and downtown parking garages are free after 5 p.m. On First Fridays, you might even have the chance to explore downtown via pedicab! Or you can even unwind right at your hotel if you&apos;d like. For the young at heart - and those who are traveling with the kids - Heritage Hills Golf Resort and Conference Center has miniature golf, ice cream and even Giant Jenga to keep you entertained. In the winter, you can even hit the slopes with snow-tubing at Avalanche Xpress. The Wyndham Garden York is also working on an outdoor lounge area. You&apos;ll be able to spend the night sharing stories with friends around the glow of the fire pit before heading back to your room for some R&R.